Thanks. Truly fascinating. Learning much visiting you here. Regards from Thom at the immortal jukebox. Thank you, Thom much appreciated. 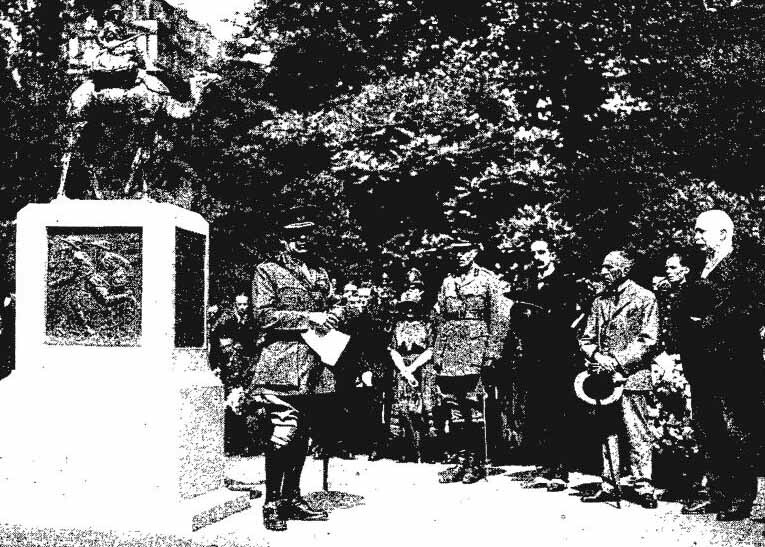 Nice post about a little-known and unusual memorial. Having been on a camel for an hour in Egypt, I wouldn’t have liked to have to spend the war on one. Then again, I suppose it was better than walking! That’s fascinating. 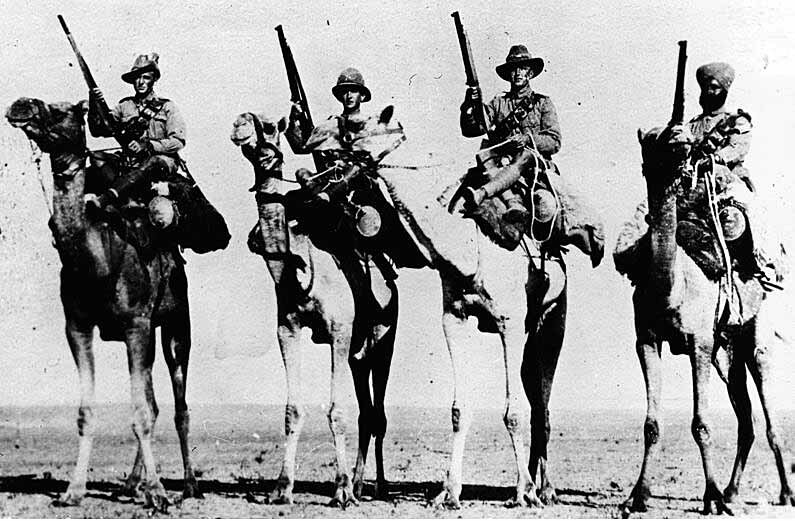 As a New Zealander living in Australia – where the centenary of the Gallipoli campaign is big news right now – I’ve never heard of the Camel Corps. I’ve also lived in London and never seen this. Great post – thanks! Many thanks… and my heartfelt respect for the Kiwis and Aussies who fought at Gallipoli. The 15 on your second photo means the NZ 15 company. How do I know this? Because the photo was taken by my grandfather. Very happy for you to use it. Yes both my grandfather and great uncle served in the NZ Mounted Rifles. The NZ equivalent of the Australian Light horse. My great uncle was older and had actually also served in the Boer war. He was at Gallipoli and was wounded twice. After the the last time he was no longer fit for active service and spent the rest of WW1 in England in a stores unit. My grandfather was younger and on his way to Gallipoli when they pulled out. 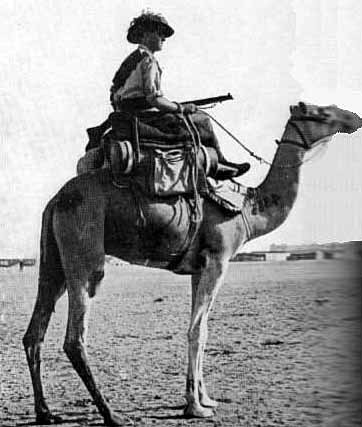 So he became one of the reinforcement units that formed the 15 NZ Company of the Camel Corps in mid 1915 at Suez I think. 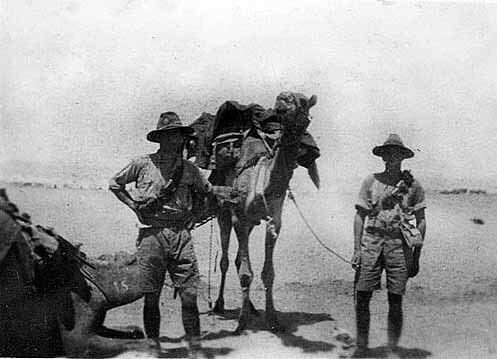 He stayed in the Corp until 1918 and then was moved to the 2nd NZ Machine Gun Squadron that rode with the Australian 5 th Light Horse Brigade that captured Damascus at the same time as Laurence of Arabia. The Australian 5 th Light Horse Brigade was a very strange unit that included Australian, New Zealand and French horsemen under one command. The only time these three countries have been united in one fighting unit. My grandfather took lots of photos. Most have been lost but several can be seen at the NZ Mounted Rifles site where I think you probably found the ” 15 ‘ photo. My brother has the original. I am looking for information on my grandfather Field, Robert Palmer, Serv No 945 who was in the 5th Reinforcements of the 6th Australian Light Horse from the 21.05.1915 and transferred to the Camel Corp 22.03.1916, he was then granted discharge to take up a temp commission with the Egyptian Camel Transport Corp 16.01.1917 and returned to Australia on the Hungarian 31.05.1919. 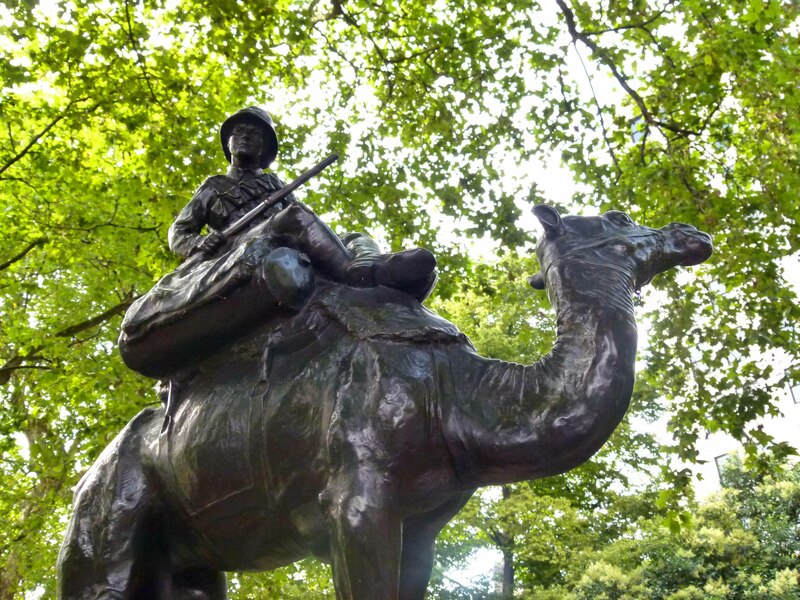 How do I find out information of the 2 years he was with the Camel Corps. Hello Sandra, thanks for your message. Unfortunately I have little idea how you would go about such a task. All I can recommend is that you try the National Army Museum; they may be able to direct you. Best of luck.